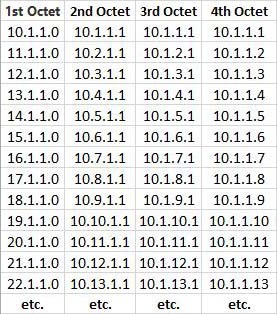 I got asked this week if I know how to do this, a colleague was doing a spreadsheet, and needed to quickly put in IP addresses. The Problem is if you use ‘Auto Fill’ to continue your IP addresses, it does not behave quite like you would expect. A quick search got me most of the way there, but the solution is different depending on which ‘octet’ of the IP address you want to increase. 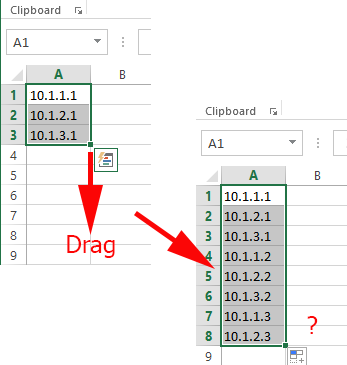 So simply change the figures in red below, drop the formula into a cell on your spreadsheet then use the auto fill option.